Bartley Richardson, a senior data scientist for artificial intelligence infrastructure at NVIDIA, has said using AI tools can help federal and state information technology teams protect sensitive government information from cyber threats. Richardson wrote in a Nextgov guest piece published Monday that it usually takes a human analyst five minutes to examine a security alert and he believes AI technology has the potential to accelerate the frontline defense process. "AI can be used to quickly process and analyze information, giving analysts better insight into which alerts are actionable and which can be ignored," he noted. 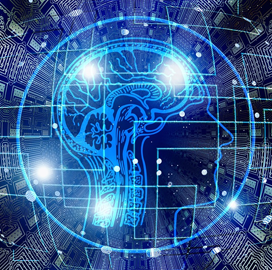 He added the adoption of graphics processing unit-powered machine and deep learning approaches can also help agencies customize security processes around a certain network through behavior analytics. NVIDIA partnered with Booz Allen Hamilton to create a GPU-powered detection model that uses Bayesian statistical methods and neural networks intended to generate cybersecurity alerts.